Our family enjoys nature, biking, hiking, walks and tennis. 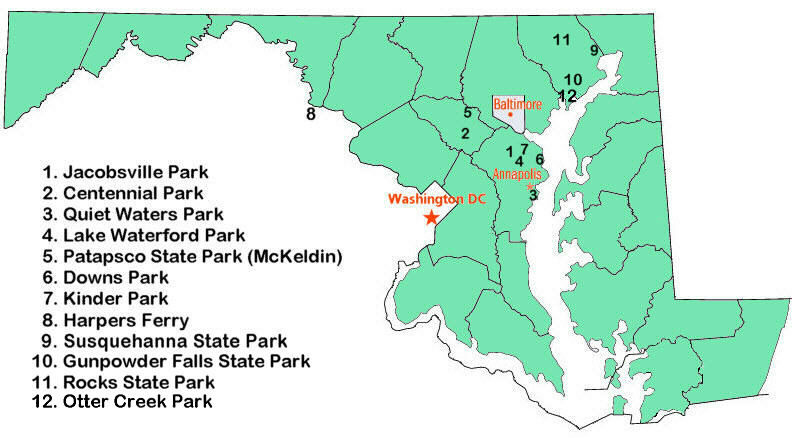 Fortunately Maryland has many parks, usually free, and others with only a small parking fee. With a digital camera I have also added to my fun of these places by capturing them with photographs. Check back often, I hope to have more added soon, as well as visiting more parks in the state of Maryland, all times of the year.